very out going and always up 4 a bit of crack. and like socialising.Treat people as i would like to be treated with curtesy and respect,not here for a long time but here for a good time is the way i try to live also like the nice bits the warmth and affection of being close to someone special,i'm really. an old romantic at heart. 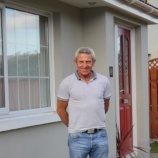 jaybee01 is a Male dating in Down, Ireland. Check the description of this 64 years old profile, he is White/Caucasian and Non Religious maybe this matches your profile description and you can both start dating in Ireland for free. The stars says he is a Gemini maybe you should check your horoscope and match up your star sign.